Last April, TELUS and CIBC joined forces to offer a new Visa Rewards card, which offered customers of the telecom the redeem points for products and services. However, it appears the new card may not have been as successful as anticipated, as it is no longer offered for new customers. The CIBC webpage for the card states “this card is no longer offered”. 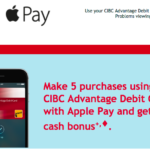 The page was still accepting applications back in August, but at some point since then, CIBC ended new applications. The card offered 1-1.5 points per dollar spent, depending on purchases. Essentially, 500 TELUS points garnered would be the equivalent of $5. 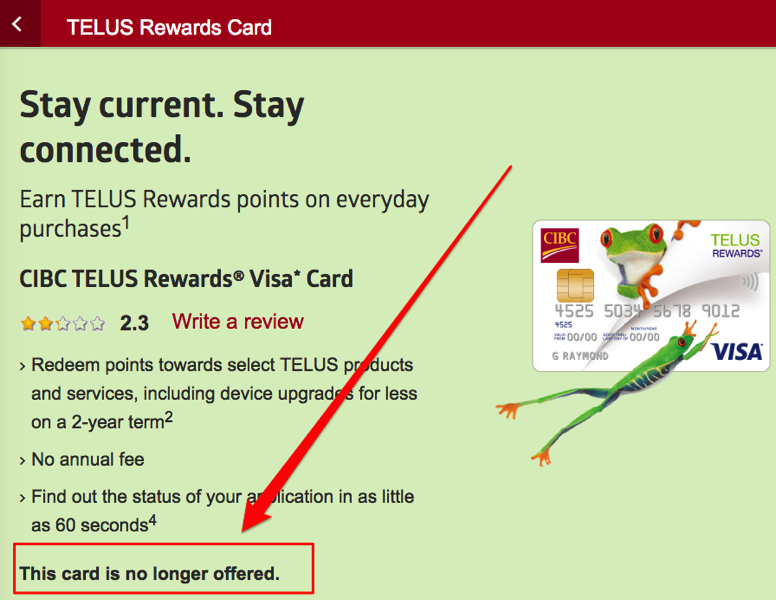 TELUS still has an active page for the rewards card, allowing customers to check their points balance and redeem for products and services. But for now, new customers won’t be able to sign up for the rewards card. Anyone using this card right now?